Why Compare Life Insurance with Cover Australia? At Cover Australia we provide a unique and comprehensive service for anyone looking to buy quality life, disability or trauma insurance at an affordable price. Most online life insurance comparison sites provide premium and product comparisons only using software and research purchased from an external supplier. Most of these sites do not provide advice other than General Advice as they often do not have the expertise or are not licensed to do so. However, we at Cover Australia provide all this and much more. In addition to providing an extensive and all-inclusive life insurance comparison gathered from the country’s leading and most respected insurance providers, we also provide expert advice and ongoing service of the highest level at no extra cost to you! We are dedicated to ensuring that you secure the right type and level of insurance from the very beginning to give you the protection you need, at an affordable price. Our specialist knowledge and expertise is unrivalled. From the initial product comparison right through to selection, purchase and service for the life of your insurance policy, our experienced team of insurance specialists is available for advice and service whenever you need it to ensure you are making the best choice right from the start. For more than just low premiums, contact Cover Australia today to receive your tailored life, disability or trauma insurance comparison and enjoy true peace of mind. Our leadership team have over 35 years’ experience in the industry and have been providing specialist insurance advice for all this time both locally and overseas. They are widely regarded as being amongst the most professional and knowledgeable advisors in Australia. Best of all, our professional service and advice is completely free and all at no cost to you! We strive to provide all our clients with a level of service that would not be expected from an online insurance adviser. We go above and beyond the standard life insurance comparison service, offering ongoing advice and assistance before, during and after you take out your policy. We will answer any queries you may have now and in the future, we will handle simple and complex administrative issues that you may have in relation to the policy purchased from us, and most importantly we will handle your claims from beginning to end in a highly professional, efficient and empathetic manner so you receive your benefits as quickly as possible. Our office has claims expertise and experience that is arguably unmatched anywhere in Australia. Our aim at Cover Australia remains at all times to provide you with the highest quality advice and service at a competitive price, while always ensuring that your insurance plan is effective and your experience painless. We have also used our respected industry position to create trusted Platinum Partners with some major insurance companies. In recognition of the abilities and professionalism of the leadership team at Cover Australia, these insurance companies have undertaken to provide us with facilities and service, both at underwriting and claim time, which exceeds industry standards. We call this our Platinum Partner Promise. 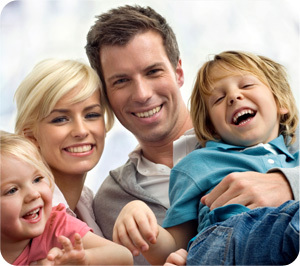 Cover Australia is affiliated with two other insurance and risk advisory practices in Australia. Curo Financial Services is one of the foremost specialist insurance advisory practices in the country, which is utilised by accountants and financial planners around the country as they seek to outsource their insurance advice to specialists. Additionally, our sister company Special Risk Managers seeks to obtain insurance for those who have pre-existing medical conditions and would normally find it difficult to secure life insurance on their own. We have acknowledged expertise in all areas of personal and business insurance, and through Special Risk Managers we are also the recognised leaders in providing insurance solutions to people with a history of a chronic illness such as heart disease, diabetes and obesity. As one of the only practices in Australia specialising in this area, we have exclusive facilities available for the placement of this type of business because of the regard in which our team is held. We have been able to help many Australians with pre-existing medical conditions and health issues receive quality life, disability and trauma insurance when they wouldn’t have been able to otherwise. Finally, Insurance Claims Advisers operates as a standalone insurance claims management company. Insurance Claims Advisers sepecialises in providing claims advice to non-clients. We are able to utilise our lengthy experience in claims management to deliver exceptional claims outcomes to our clients. At Cover Australia we can provide quotes and comparisons for every type of life insurance, including Term Life Insurance, Income Protection Insurance, Trauma Insurance, and Total and Permanent Disability (TPD) Insurance. Just enter a few details and get a quote today!